(Cheetah’s Records) Wine In A Box, hypnotizes the listener into a thick drug induced haze and paints the scenery with dyed black hair, dexedrine, and a faint stench of patchouli. I fell into deep thoughts of the late 80’s when the Replacements and Dramarama ruled the scene. 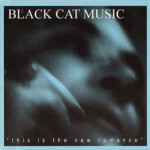 Black Cat Music seems to draw their passion from the indy scene of the 80’s and picks up where the predecessors left off. A listen to this record will entangle the listen in a web of soothing yet, eerie music. I really enjoyed Black Cat Music.